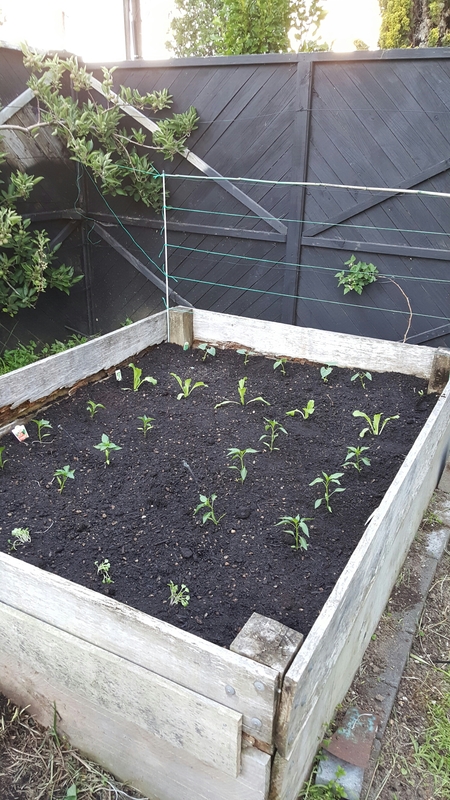 Found time this afternoon to plant out the veggie plants I bought yesterday. Hope they survive the wind! Loads of apples on the Apple tree.